Daily fuel consumption has been almost halved in real terms when cutting the fairways at Ombersley Golf Club in Worcestershire with a new John Deere 8700A PrecisionCut fairway mower, supplied by local turf dealer Tallis Amos Group (TAG). The 8700A is one of the John Deere’s 2015 range of advanced technology A Model golf course mowers equipped with the new TechControl digital display and OnCourse Technology for improved overall performance and reliability, better diagnostics and increased operator comfort. “Fuel consumption on this new machine means we get 18 fairways cut per day and use less than 50 litres of fuel,” says experienced course manager Andrew Halfpenny. “The previous model would probably use about 70 litres for the same task, and would only manage 12 fairways each day. “As an 18-hole ‘pay-and-play’ course we have wider fairways than normal, which adds to the mower’s workload – and the new 8700A has a bigger engine with a smaller fuel tank than the previous model, which makes its fuel efficiency even more impressive. The new QA7 quick-adjust 7in diameter cutting units are also an improvement on the older machine, so we are winners all round,” adds Andrew. Ombersley Golf Club has run a complete range of John Deere greens, tees and fairway mowers since it opened in 1991, and the current fleet also includes a 2500E hybrid electric mower, as well as compact tractors and Gator utility vehicles. “With a busy course all year round, and so many visitors, we are very focused on quality of presentation,” says Andrew. “With good, free draining land, we have built our reputation on year-round capability regardless of the weather. 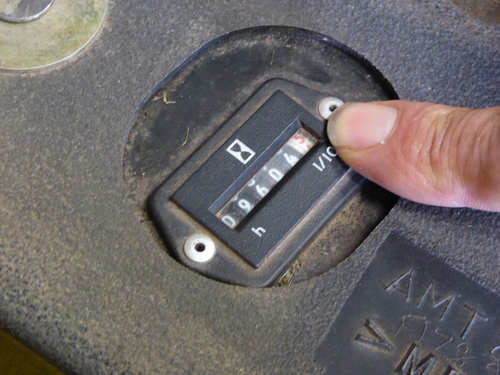 Quality of finish is about quality of input, and our John Deere machines reflect exactly that policy. The mowers not only leave a perfect finish but they are also very reliable, day in, day out. Ombersley originally bought its John Deere machines from dealer Parks & Grounds Machinery, which is now part of TAG. Specialist teams of sales, service and parts personnel are responsible for golf course, commercial and homeowner machinery throughout the West Midlands, and the group was recently listed by the London Stock Exchange as one of the UK’s ‘1000 Companies to Inspire Britain’.